My first graders need to practice subtraction by comparing two groups, so I created these colorful math work mats for them to practice on. Each mat has three sections. 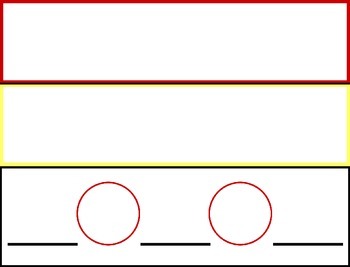 The top two sections have two different sets of pictures, and the bottom section has a blank number sentence for students to fill in. The set includes 26 different mats with pictures, as well as two different blank mats. 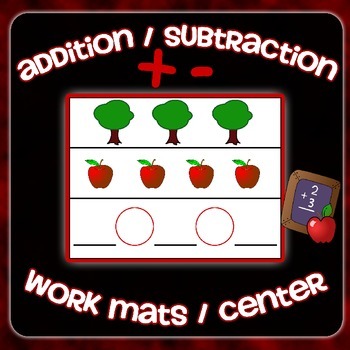 Even though I designed them to use for subtraction, they could also easily be used for addition, 20 of the mats would have a sum of 10 or less when adding, making them great for Kindergarten also! I suggest printing in color on cardstock. Then you can laminate or put them in sheet protectors so that students can write on them with dry erase or wet erase markers over and over again. 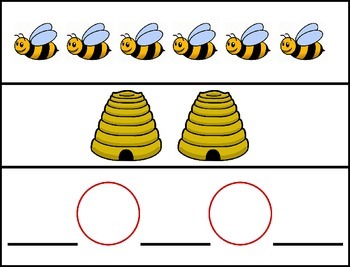 Perfect for a math center! 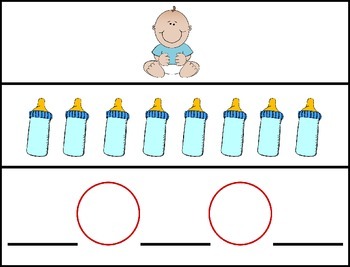 The blank mats would also be great to use for students to work a problem read orally to them, or to create their own problems. They can also place manipulatives on the mats.